Firstenergy Corporation issued the following announcement on Aug. 17. 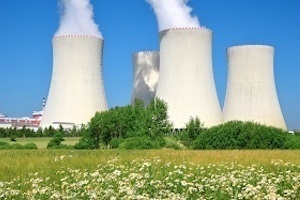 FirstEnergy Solutions Inc. ("FES") today announced that it has taken its latest step in the regulatory process leading to the deactivation of its three nuclear power plants beginning in 2020. FES submitted to the Nuclear Regulatory Commission ("NRC") its Certified Fuel Handler Training and Retraining Program, as required under the NRC's decommissioning process. The filing details the training program for professionals who will supervise the removal and on-site storage of fuel from the nuclear plants. The total capacity of the nuclear plants to be deactivated is 4,048 megawatts (MW). In 2017, the nuclear units contributed approximately 65 percent of the electricity produced by the FES generating fleet. The two Ohio plants represent 14 percent of Ohio's electric generation capacity and 90 percent of its carbon emissions-free capacity. "We intend to work with Ohio and Pennsylvania officials towards a solution that will enable these plants to continue contributing to cleaner air and regional energy security," Moul said, adding, "In the meantime we will move forward with the required steps towards deactivation." A solution must be reached by mid-2019, when FES must either purchase the fuel required for Davis-Besse's next refueling or proceed with the shutdown. Want to get notified whenever we write about Firstenergy Corporation ? Next time we write about Firstenergy Corporation, we'll email you a link to the story. You may edit your settings or unsubscribe at any time.